As Little Mix’s Jesy Nelson posts adorable picture for Jake Roche’s birthday, here’s 6 reasons why she is the best girlfriend EVER! 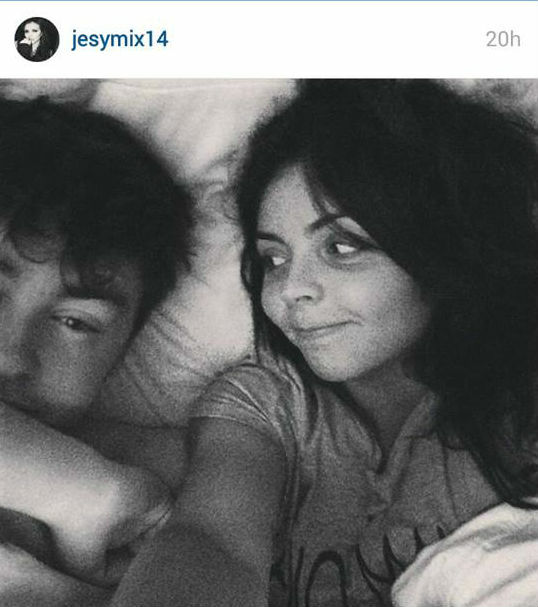 Jesy Nelson has wished her fiancé Jake Roche happy birthday... Here are 6 reasons she is the ultimate girlfriend! Remember the days you could kind of get away with only giving out cards for birthdays? Maybe even stretching to chuck in a fiver if you were feeling ultra nice…. Well people, WE’VE ALL BEEN PUT TO SHAME! Jesy writes, ‘To the one and only Jacob Peter Roche if it’s okay with you and you’ll let me I’d love to wake up everyday of my life to this face!!!’. My smelly pooping farting machine of a fiancé I wouldn’t have you any other way.’ Jesy finishes up the post saying she loves her fiancé so much ‘it hurts‘, before wishing him an incredible day. Captioned ‘His birthday week is off to a flying start’, Jake looks utterly engrossed in his new toy. And poor Jesy was ‘Only allowed to do the stickers’- c’mon now Jake, sharing is caring! According to Instagram, Jesy seems to enjoy the small things in life. Whether that involves feeding the ducks or going to the park. Eco-friendly AND bank balance friendly… Jake, we think you’re on to a winner. And anyone who likes Ed Sheeran is pretty much perfect in our eyes. Remember how the pair got engaged to the sweet, sweet sound of Sheeran playing Jesy’s favourite song, Tenerife Sea? Goals people, goals. The ultimate reason Jesy is the perfect girlfriend- because she is the boss. Whether she’s supporting her Little Mix girls, her fiancé or her fans, it’s fair to say Jesy is one hell of a strong chicka. And doesn’t Jake know it- the lucky fella captioned one Instagram snap ‘Aaat and abaaat with the boss’.